Holly Stephens has started several businesses, dabbles in Blockchain, hosts and speaks at events, is a business analyst and was a winner of the Smart 30 under 30 for 2018. To say she has many things on her plate would be putting it lightly. Stephens, 29, is a huge advocate of pursuing a multi-passion career and said there are advantages in doing so. “You learn so much. There are things that you learn by just doing it yourself. Then when you apply it in practice, you understand the gaps and you learn more about yourself and the things that you like and don’t like doing,” she said. “When I started to work on my own things, I felt a sense of purpose. 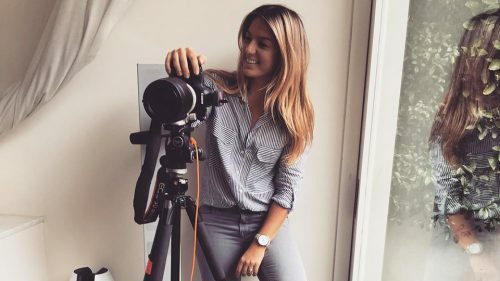 The Sydneysider is so passionate about encouraging women to pursue side hustles and entrepreneurship that she launched female business network Triangles. “The reason why I want to encourage more women into business is because there’s so much unfulfilled potential,” she said. Stephens’ foray into a multi-passion career evolved organically. Originally from Birmingham in the UK, she studied business management and marketing at Nottingham Trent University before taking on roles with big brands like Xerox and Google. It was during her time in the corporate world that Stephens realised she didn’t want to be pigeonholed to a single 9-5 job. She worked on a couple of tech start-ups before landing her “too-good-to-be-true” role at Google. Stephens maintained her side hustles while working as a product manager at Google, which eventually brought her to Sydney, where she helped launch Android Pay in Australia and New Zealand. Stephens said she would wake at 5am daily to work on her start-ups before going to her day job. She also used her lunch breaks to take calls and do other work for her side businesses. She eventually left Google to pursue multiple ventures simultaneously. This included starting women’s business network Triangles, an agency that assists start-ups with marketing services, video transcription and subtitles service Take 1, and an entry into cryptocurrency where she has been interviewed as an expert on several TV and podcast shows. “What I didn’t realise, from doing all these things outside of my 9-5, was that I was building up a profile online and on LinkedIn,” she said. After noticing her involvement in cryptocurrency, the owners at payments acceptance platform Beam offered Stephens a role as chief marketing officer. 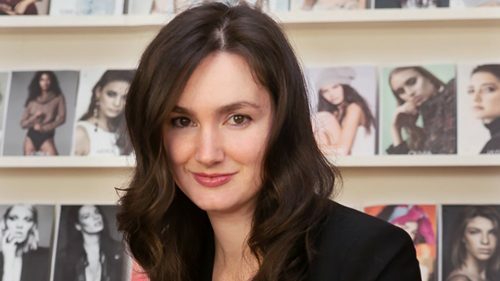 “Even though Beam is not my company, I really like the vision of the business… and I enjoy being someone who can help drive the business forward,” she said. One aspect of starting and running a business that Stephens has enjoyed most is the opportunity to learn. When she first launched Springstart, her marketing agency for start-ups, Stephens had no idea where to begin with the business side of things. She admits she was clueless about everything from setting up a business name to doing accounts. “For anyone who wants to start a freelance business, you just have to go and find these things out for yourself… and work it out along the way,” Stephens said. Another tip for those starting out is to prioritise what you really need to get the business off the ground, Stephens said. “You don’t need to do the logo or get a fancy website up, you just need to get your first client. Then you can work the rest out afterwards,” she said. This is exactly what Stephens did when launching Triangles. She knew she wanted to create a space for women who were keen to start a side business, but she wasn’t sure what that platform would look like. She decided to see if there was interest in her idea first before investing in it. “I set up a basic landing page. It had a simple sign-up form that said something like: sign up if you want to start a side project, if you want to connect with other women, if you want to transition careers, or if you can deliver your expertise to other women,” she said. Stephens then shared the landing page with business groups on Facebook and other online communities to promote the idea. She attracted 300 sign ups within the first week, then decided to run events that could connect members in person. Within the first year, Triangles hosted 18 events based around helping women to launch their side business. The network now partners with other companies to run events. “What I learned was: don’t start something until you have enough traction,” Stephens said. While Stephens has enjoyed the dynamic nature of building start-ups, she has been forced to learn when to slow down. After suffering a viral illness that required a long recovery, Stephens needed to structure her work time more effectively. She now adopts the “maker or manager mindset”, as taught to her by entrepreneur Jack Delosa. The maker mindset involves structuring your days to work on the tasks that involve creating, and which demand high levels of concentration. Stephens said she blocks out time to work on developing a new product or writing a new blog post on days where she can be distraction free. “Make sure you allocate those ‘maker’ times when you’re most productive… and don’t book meetings in between,” she said. The manager mindset is about scheduling in tasks to manage your business, such as crucial admin and meetings, in the same day. Stephens has also learned to say no to things in order to be more productive and to sustain her enthusiasm for running a business. “I kept saying yes to a lot of things because I was so scared that I was never going to get a call back. But someone always gives you a call back and it’ll be a bigger, better call back that you want,” she said.